I owe this website to Roger Ebert. When I was still an impressionable teen, I stumbled on an episode of his syndicated show Roger Ebert and the Movies (formerly Siskel and Ebert and the Movies and later renamed Ebert and Roeper at the Movies), in which two critics reviewed the latest theatrical releases by way of brief, earnest conversation, free of celebrity gossip and academic posturing. I found myself immediately captivated and followed the series through all of its incarnations, save for the twenty-third season with Ben Lyons and Ben Mankiewicz because, well, one’s got to draw the line somewhere. From there, I discovered the esteemed critic’s writing for the Chicago Suntimes (along with his unashamedly liberal blog), and to say his words influenced mine would be an understatement. Cinematic analysis, you see, used to be restricted to either gushing, self-cannibalising fluff or snotty, self-aggrandising elitism. A journalist by trade and life-long dork at heart, Ebert brought film criticism to the people, favouring conversation over a final verdict. I didn’t always subscribe to his opinions regarding movies and politics. In fact, I systematically disagreed with him about the horror genre and its place in our culture, but I remain grateful for the discussion and the deeper thoughts it inspired. Unfortunately, this great revolution in the field of film criticism led to the same old quagmire in cyberspace. In the era of the geek, one no longer needs a diploma or connections to write about movies, but cinematic analysis, you see, remains restricted to either gushing, self-cannibalising fan worship or snotty, self-aggrandising nerd rants. Say what you will about his chronic inability to recall a plot or tendency to use snark as political rhetoric, Ebert’s articles always came from the heart as opposed to his ego. There’s more to it though. The esteemed critic engaged the universe both in his thoughts and his writing. When I read his reviews of films such as 2001: A Space Odyssey (1968) and Robocop (1987), I unknowingly learnt the difference between a dork and a geek. Dorks like Ebert and myself revel in the minutiae of the imaginary lives presented in fiction, whereas geeks use them as a shield against the real world. Through flame wars and mass temper tantrums, they hinder any attempt to inject valid social concerns into their fantasy, issuing death threats to anyone who, for example, would dare to question whether their favourite pastime could be called art. Just as he stood against the vitriolic videogame geeks fuelling Senator Alexander’s argument against gun control, Ebert, as the most read critic in the world, presented a crucial alternative to insular geek culture. His greatest gift to me and to all who knew his work lied in his conveying, through his earnest and sometimes profound opinions, the intrinsic value of conversation. Whether or not you agreed with the man, his words prompted you to consider his thoughts and share your own. They encouraged a connection with others and an awareness of the issues that affect us all. In short, his writing allowed fiction and conversation to collide, which brings us back to this here corner of the Web. You may have noticed that Nick always starts his videogame reviews with an explanation of how he acquired the title or that Chris can’t help digressing about the way life events affect his perception of any given book. I did not ask them to do this. Rather, I chose them, both as collaborators and friends, because of their passionate engagement to the concrete world that surrounds us. 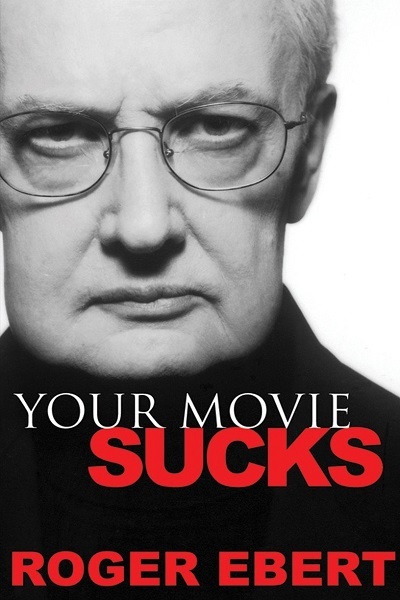 I owe this wisdom to Ebert, who, in both his roles as the critic of the people in printed media and the voice of reason in cyberspace, stood as a beautiful, unwavering example of a broad mind. I am forever grateful. 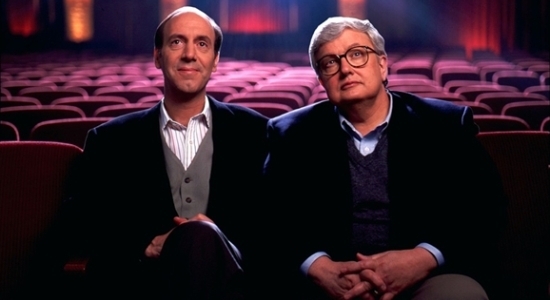 Rest in peace, Roger Ebert.